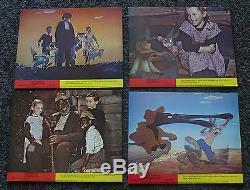 You are purchasing an original 1960's British lobby card set of 8 from Walt Disney's animated feature: "Song of the South". 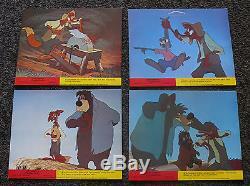 The item "SONG OF THE SOUTH BRITISH LOBBY CARD SET 60S BR'ER FOX RABBIT BEAR REMUS DISNEY" is in sale since Saturday, March 30, 2013. This item is in the category "Entertainment Memorabilia\Movie Memorabilia\Lobby Cards\Originals-International\1960-69". The seller is "ruthrules" and is located in Saint Clair Shores, Michigan.